The two spheres represent the earth’s energy. 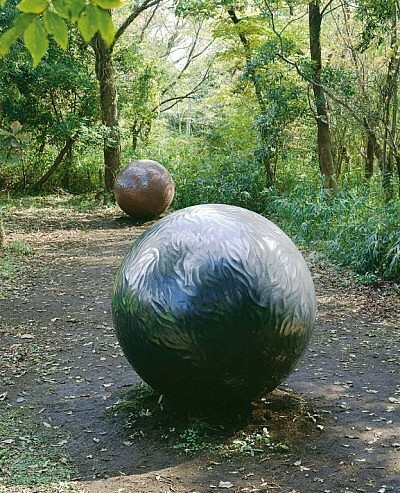 Floating clouds and sunbeams filtering through foliage reflect on the gently undulating surface of the spheres，symbolizing the breath of nature. If you gaze at the spheres for a while，whispers from the passing breeze may reach your ears. Could it be that the earth is secretly trying to communicate with you?